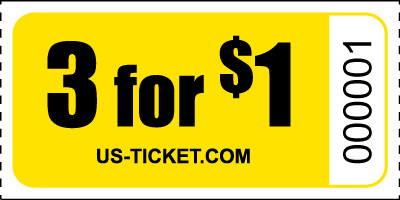 3 for $1 Tickets Ticket on a Roll. Perfect for those events where you need something between .25 and .50. 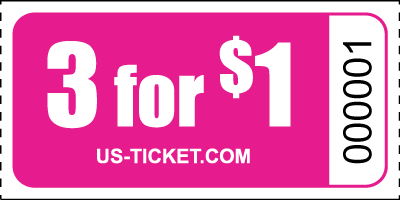 Our roll Tickets are printed on bright white ticket stock in multiple colors for a distinct attractive, colorful ticket. Each 1" by 2" ticket is sequentially numbered within rolls of 1000 tickets.